February 10 at Raleigh Studios in Hollywood, CA. 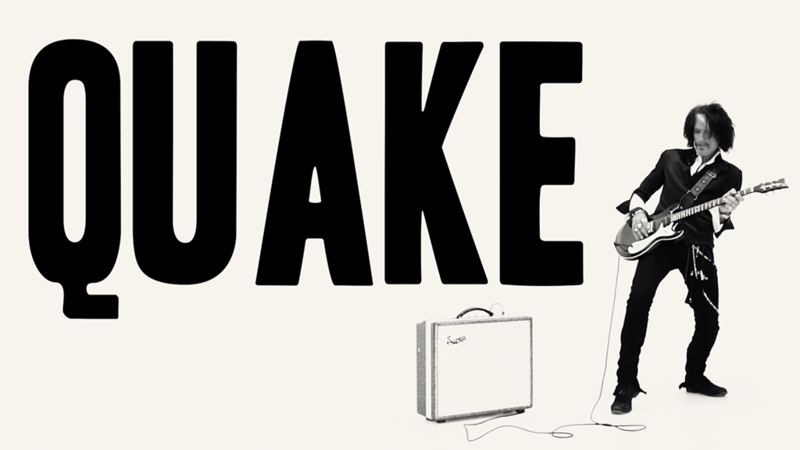 Formed in 1970 and touring for about 3 years prior to the release of this epic debut album, on this date back in 1973. 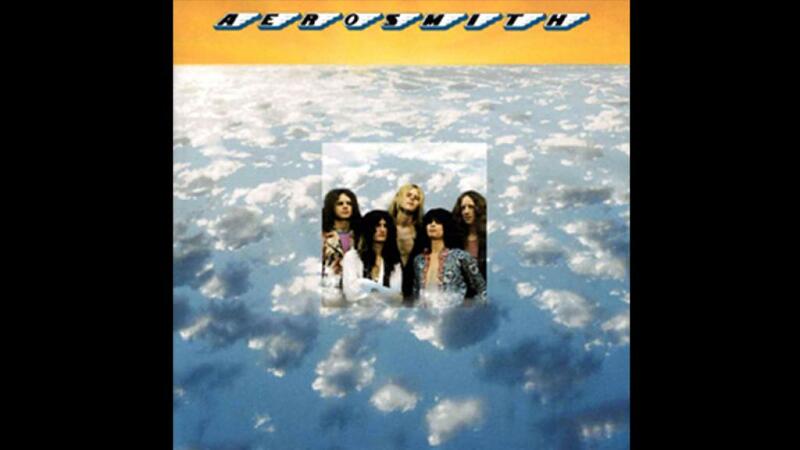 Aerosmith releases the self-titled debut album "Aerosmith" Recorded at Intermedia Studios in Boston, Ma. October 1972 and released on January, 5th 1973. Happy Birthday Tom "Sweet Emotion" Hamilton! 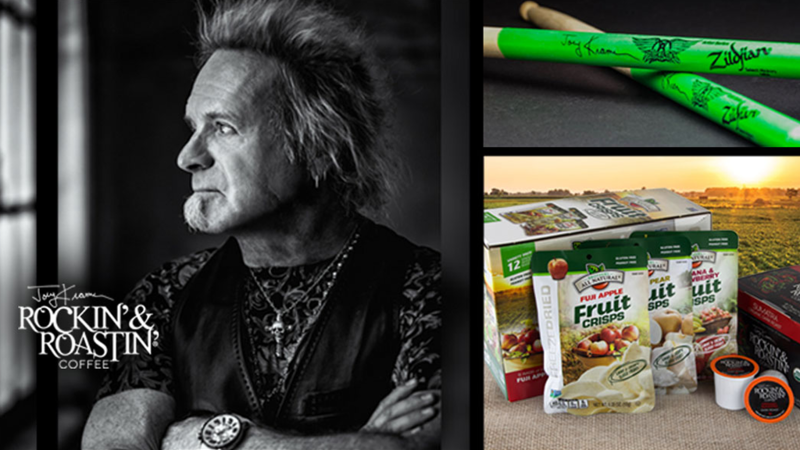 WIN a PHONE CALL from Joey Kramer, & a pair of his signed drumsticks! 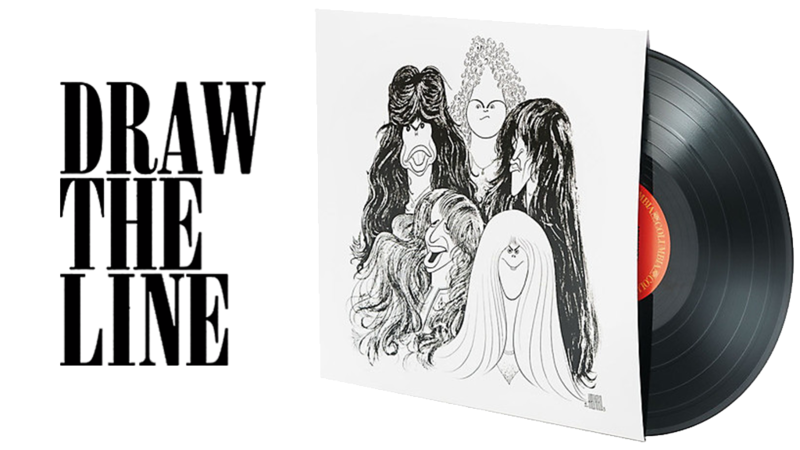 Aerosmith releases 'Draw the Line", the fifth studio album, released December 1, 1977. 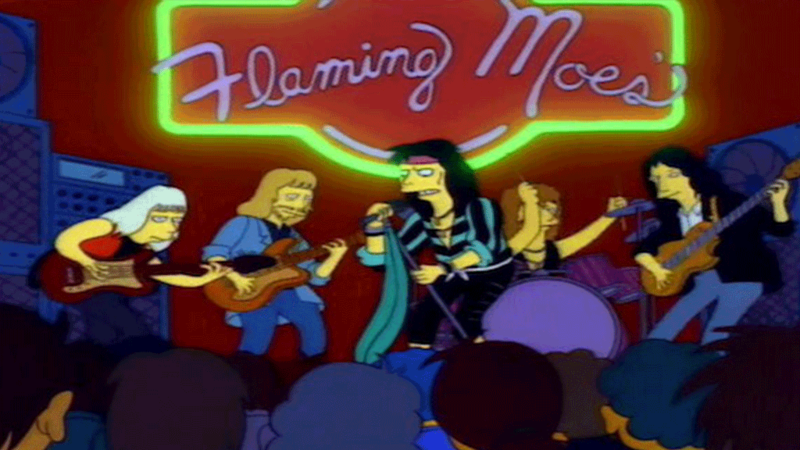 AeroHistory: November 21, 1991 - The Simpsons "Flaming Moe's" is the 10th episode of Season 3. 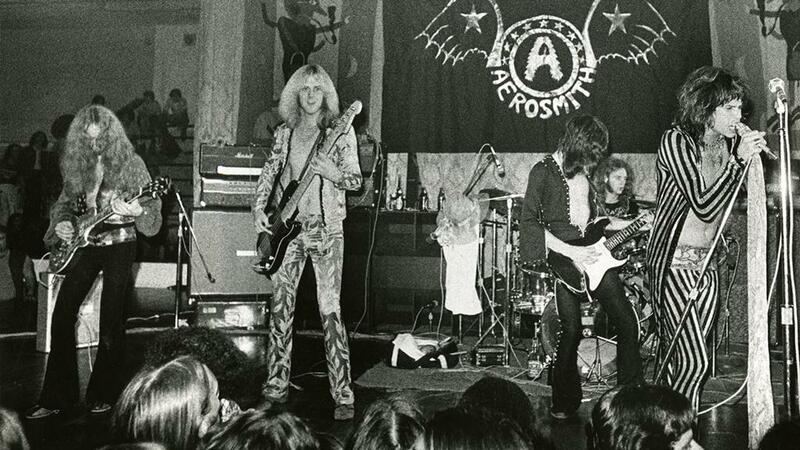 Aerosmith appears in the episode and were the first band to make a guest appearance on the show. Their dialogue was recorded in Boston with Hank Azaria, the voice of Moe, who flew over to record his part with them and help them with their lines. The episode has been included in best Simpsons episode lists by IGN, Entertainment Weekly, AskMen.com and AOL. November 9, 1985 Aerosmith releases their the eighth studio album 'Done With Mirrors'. The release marked the return of Joe Perry, who had left the group in 1979, and Brad Whitford, who had left the band in 1981. 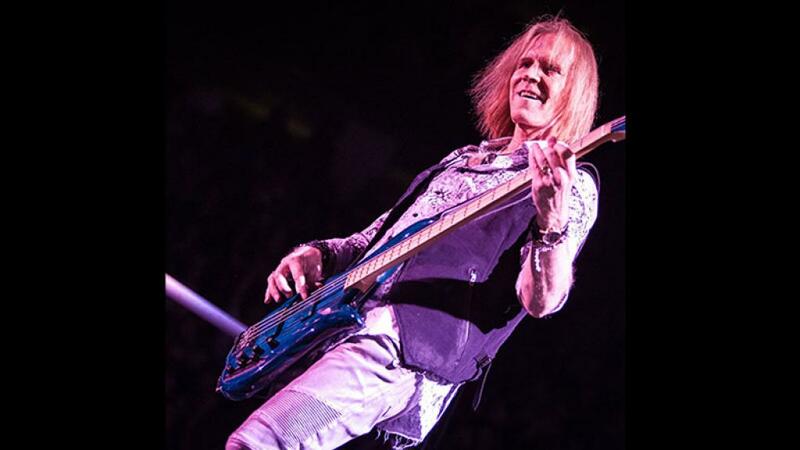 Aerosmith played their first ever show at Miscoe Hill School in Mendon, MA. 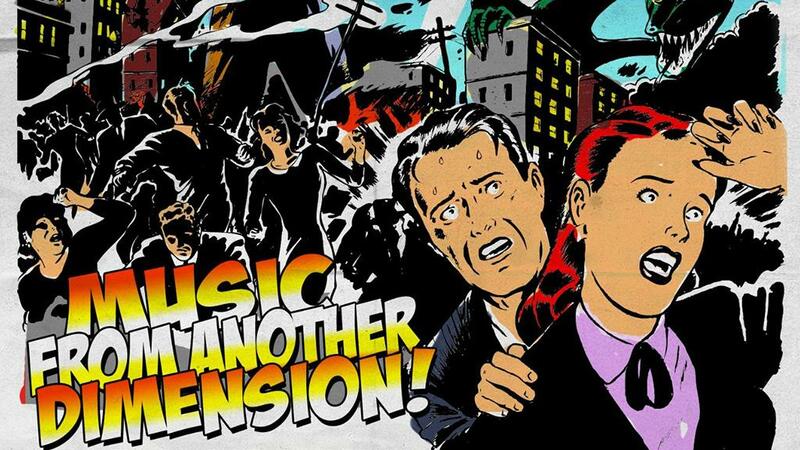 AeroHistory: Music from Another Dimension! The fifteenth studio album by Aerosmith, released on November 6, 2012. 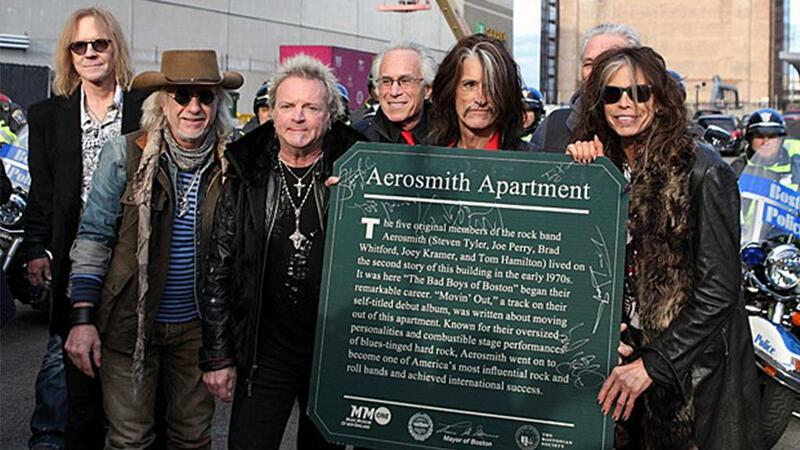 Aerosmith ROCKS an estimated 35,000 Boston fans with a free concert outside 1325 Commonwealth Ave, site of the bands original apartment where they lived from 1970-1972. 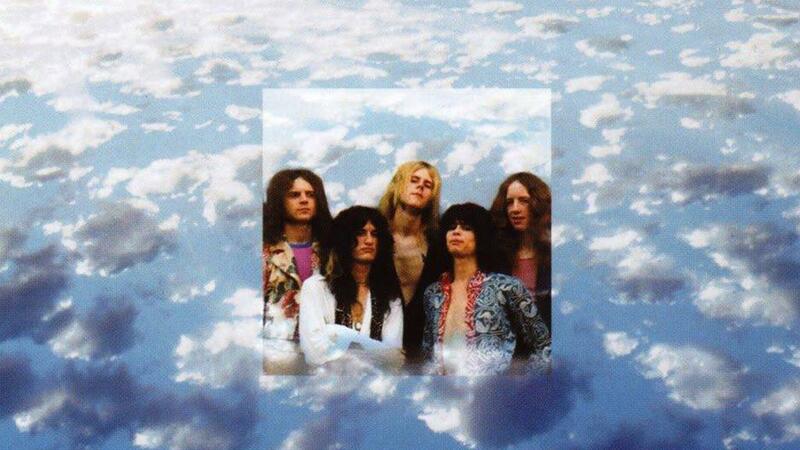 AeroHistory: October 25, 2005 - Aerosmith releases 'Rockin' the Joint'. 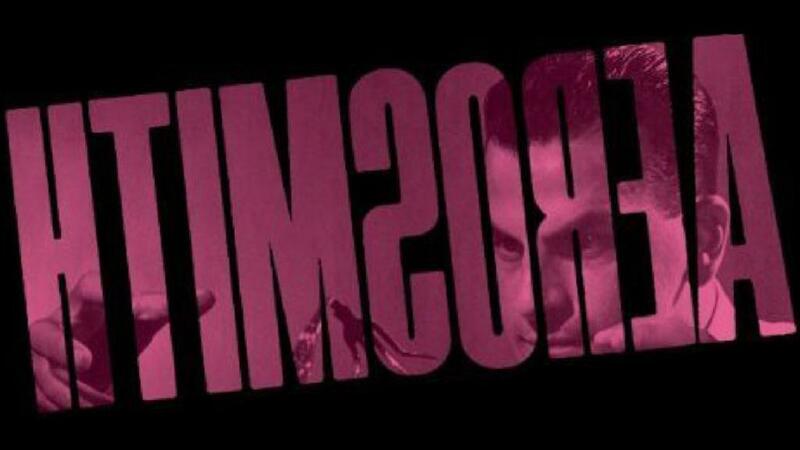 Recorded in January 2002 in The Joint at the Hard Rock Hotel in Las Vegas. October 20th 1998 Aerosmith releases A Little South of Sanity. The live two-disc album featured recordings taken while the band was on the Nine Lives Tour, which began in 1997 and was still ongoing at the time of the live album release, and the Get a Grip Tour, which the band was on in 1993 and 1994.